Great news for the town of Rimavská Sobota. The Camp Kurinec Zelená voda has became The Camp of the year 2016 ! The prize was awarded by The Slovak association of camping and caravaning (SACC) in Slovakia. 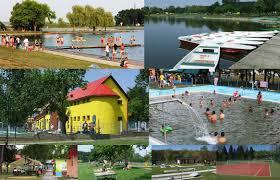 "The Camp Kurinec Zelena voda recorded the greatest progress among the other campsites in Slovakia," said Ing. Ján Ducko, the vice-president of the SACC.